Just a quick note to let you know Simply Phoebe be coming out of hibernation soon to do two fantastic markets in Melbourne, both being held at Federation Square. Markit@FedSquare is a gorgeous, biannual curated design market focusing on illustrative and decorative-based design products including fashion, jewellery, homewares, stationery & illustration. It's being held in the Atrium at Federation Square on Sunday 27th November from 10am to 5pm. The following week, I will be back at Federation Square for the Melbourne Design Market. This one's a biggie. 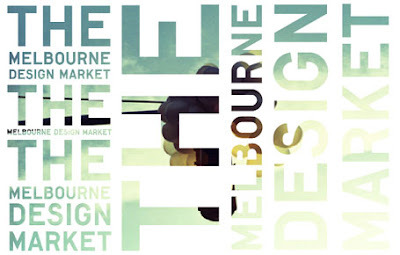 Held in the novel location of the Federation Square carpark, the market is something of a cross between a market and a design show, featuring a diverse range of products across fashion, jewellery, homewares, furniture, lighting and more. I'm really excited to be doing both of these markets and am busily preparing new neckpieces, other accessories and some special new products for the festive season (yes, it is October and I am talking about Christmas). Hope to see you at one or both of the markets if you're in Melbourne. Regardless of my stall, they're a great opportunity to find unique presents whilst also supporting local designers and makers.